WDC stock has gained 55% from its lows, but it doesn't look like the best chip stock to buy at this point. 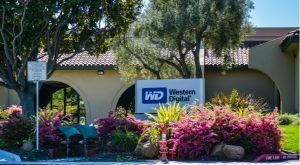 Computer memory manufacturer Western Digital (NASDAQ:WDC) has finally bounced. Between March and December of last year, Western Digital stock lost over two-thirds of its value. Since hitting a six-year low late last year, however, WDC stock has gained some 55%, rising 42% in 2019 alone. The question is whether the bounce will continue. Management unsurprisingly remains optimistic, calling for improvements in the second half of calendar 2019 (corresponding to the first half of Western Digital’s fiscal 2020). I was more skeptical than WDC’s management a month ago, citing worries about memory prices and demand. But that skepticism looks too cautious to me at the moment, and WDC stock has risen another 12% since my column was published. It’s outperformed Micron (NASDAQ:MU), which at the time I called the better of the two memory plays, and which itself continues to rally. But for several reasons, I still see some risk to the rally of WDC stock in the near-term. Western Digital stock does look cheap, trading at 9.5 times analysts’ consensus FY19 earnings-per-shares estimate. And demand from cloud providers like Amazon.com (NASDAQ:AMZN), Microsoft (NASDAQ:MSFT), and Alphabet (NASDAQ:GOOGL,GOOG) should rise over time. Investors clearly are buying WDC stock ahead of an expected second-half rebound, with an eye towards the 2018 highs of WDC stock. If Western Digital stock does regain that level, it will have more than doubled from its current price. Western Digital stock remains heavily cyclical, however. And there are non-cyclical concerns at play as well. The rally so far makes some sense, since WDC stock simply got too cheap. That, however, may no longer be the case. Will The Rally of WDC Stock Continue? Investors looking for a reason to buy – or stay long – WDC stock should review COO Mike Cordano’s presentation at a conference last week. Even as Western Digital stock has slumped of late, the message from its management has been reasonably consistent: Weaker results from Western Digital (the company is guiding for an 80%+ decline in earnings in its fiscal third quarter) aren’t a case of the memory cycle turning south for good. Rather, the sector is suffering some short-term disruption, coming in large part from overly high inventories at key cloud customers. Cordano reiterated this point, noting that bit consumption (i.e, end- customer demand) was likely to be “flat to slightly down” in the first half of 2019. “It’s really getting the inventories underneath in alignment” that is the issue, the COO said. There are echoes here of the bull cases for WDC stock, MU, and Seagate Technology (NASDAQ:STX) at their peaks last year. There’s no doubt that memory is a cyclical business. Prices rise; manufacturers increase capacity; prices fall;manufacturers reduce capacity ; the cycle repeats. But the underlying demand trends are positive. Datacenter demand is a long-term growth driver. Connected home and automotive markets will also consume prodigious amounts of memory. Meanwhile, as Cordano noted, WDC and its rivals already have cut their capacity. That, plus a resurgence of demand, means the industry should get back to good times in only a matter of months. After investors became worried about WDC stock in late 2018, investors are back to buying the bull case on WDC stock. That’s why WDC stock gained after its earnings despite missing consensus expectations. But I have two core concerns about WDC stock at this point. The first is that WDC’s management may well be wrong. Western isn’t the only one seeing a glut in datacenters’ inventories: similar inventory issues are part of why Nvidia’s (NASDAQ:NVDA) shares have plunged. But the entire industry seems convinced that the worst will be over soon. That said, the chip space on the whole – and the memory industry in particular – historically hasn’t timed the cycle all that well. Management’s overly optimistic forecasts usually cause industry participants to build too many chips at the top of cycles. As a result, investors should take bullish commentary with at least a grain or two of salt. The second question is whether WDC stock is the best play. Western’s performance, share price aside, hasn’t exactly been stellar, with notable market share declines since its 2016 acquisition of Sandisk. Micron stock still looks attractive just above $40. And the case for Western Digital – that continuous tailwinds are worth the price of cyclical swings – has been made about companies across the chip sector. In December, I called out Applied Materials (NASDAQ:AMAT) as an intriguing play based on that thesis. NVDA obviously is a very different stock, but for investors who believe datacenter demand issues are just a two-quarter blip, there’s a strong case for a rebound of Nvidia stock. At this point, I’m not sure WDC stock is a good play, given the possibility of another decline in memory demand, particularly in categories outside of datacenters. Regardless, I’m highly skeptical about the idea that it’s the best play. The chip space has no shortage of stocks with attractive valuations. Given the risks posed by WDC stock, even at its current, low valuation, I question whether Western Digital stock is one of them. Article printed from InvestorPlace Media, https://investorplace.com/2019/03/risks-rally-wdc-stock-western-digital-stock/.